The subtleties of Rose as a medicine are one of the divine mysteries of herbalism. I’ve been noticing for a while that nary a patient escapes one of our clinics without a glug of Rose tincture added to their formula. My aromatherapy friends also seem to be in a Rose induced reverie at present and it appears to be a common acknowledgement for just about everyone that, ‘they need some Rose.’ When a herbalist told me recently that she’d ripped up her herb garden (oh the horror!) and now grows only roses, I knew there must be something in the air. Most modern herbalists think of Rose in terms of a cooling astringent and use it appropriately, to dry congestion, tone tissues and calm inflammation. However it has many other properties, being anti-viral, aromatic, cardiotonic and hepatic, which make it a valuable medicine. It promotes bile flow and is a decongestant and protective of the liver and is great for calming allergies. Matthew Wood writes, “The rosaceae are primary remedies for reducing autoimmune heat and irritation.” It is also of particular benefit in regulating the menstrual cycle. The Rose hip also has many uses but I’ll save those for another post when they are in season. Most of us agree on the fact that the medicine of Rose is a subtle one, about more than its actions and physiological effects. Though it is an antidepressant and mild sedative, it’s effects on the emotions are more whole, more multi-faceted, than either of these terms imply. In The Yoga of Herbs it states, ‘Rose is a well known flower of love and devotion… The lotus of the heart is a rose.’ The Rose has been exhalted throughout human history in many cultures for it’s beauty, exquisite perfume and the symbolism of it’s petals and thorns which refelect the tenderness and pain of earthly experience. It’s as though something of this tradition has leaked into our collective unconscious and continues to grow there, imbuing the Rose with even more grace and power. Another of my teachers said that, ‘every woman needs a little Rose.’ Whilst I think this is beautiful, I have to say that I believe men can benefit from taking Rose just as much as women, and the fact that we think they don’t, is part of the problem. Perhaps they need a different facet of it’s healing energies, but who among us would not benefit from nurturing, from care, from softening our world weary hearts? Rosa Canina – The Wild Dog Rose. Helping to open the heart to the Divine in all things. 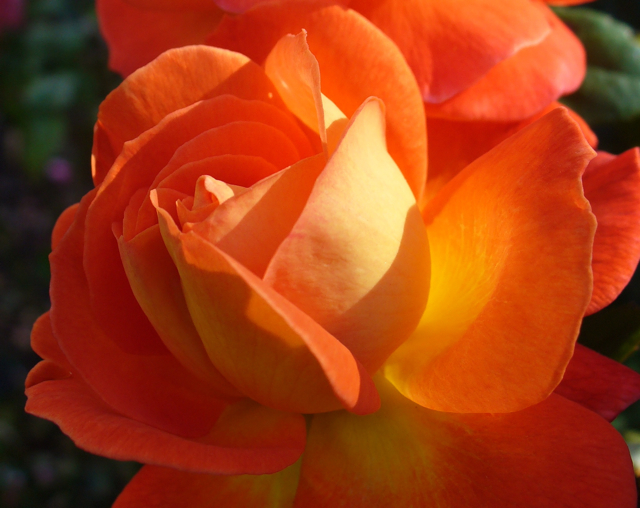 The energetics of rose may seem confusing at first because, as Kiva explains above, it been considered both cooling and warming in different traditions. She, and many other other herbalists, consider it to be drying but in my own experience I have found it to have the potential to be both drying and moistening. The difference will depend on what type of roses are used and how long they are macerated in alcohol for. A tincture macerated for the usual two to four weeks will be quite astringent and drying as the tannins have all been extracted from the petals. However a tincture made from highly aromatic roses and left to macerate in the alcohol for only a day, will capture the delicious taste of the volatile oils but not the tannins and will therefore be much more moistening. Regular use of the tincture of Rose is highly recommended for those who are grieving, distraught or recovering from abuse. I am now using it for people who have experienced deep trauma sometime in the past which hasn’t properly healed yet. Hug in a Mug: For when you need a bit of nurturing. Equal parts Rose, Avena and Linden blossom with half a teaspoon of honey. Aphrodisiac Blend: For when you need a bit of spice. 1 part Rose to 1/2 part each Cardamom and Cinnamon. Tea for a Broken Heart: Equal parts Rose, Hawthorn Blossom and Heartsease (Viola tricolour). Turkish Delight Tea: Yummy and heart warming. 1 part Rose to 2 parts Orange peel. Cup o’ love: 1 part Rose to 1/2 part each Cardamon and Cacao powder, sweetened with honey. Rose is also wonderful as an infused honey, especially made with fresh petals as you don’t have to strain them out and can just eat the whole thing as it is. This also makes a lovely soothing remedy for sore throats. Kiva Rose recommends a diluted Rose infused vinegar for treating sunburn as it’s cooling, soothing and astringent. I also love rose infused vinegar in a simple salad dressing as it transforms a few veggies into something decadent and delicious. 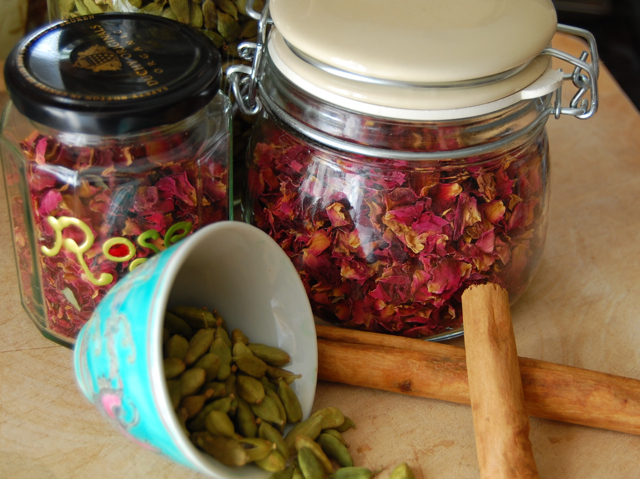 Debs did a lovely post on making rose infused vinegar which you can read here. I think Rose is of particular benefit to us in the West at this time because so many people feel alienated, lonely, rushed and lacking in direction. In our society, where acquisition is seen as the bench mark for a successful life, the benefits of learning to stop, open our hearts and see the divine in all things are immeasurable. In opening the heart, Rose allows for greater compassion and love for others but, in doing so, helps us be gentler with ourselves too. Learning to love cannot exclude ourself and must, in fact, begin with ourself every time. That doesn’t mean it is self-indulgence, it cannot exclude others either, but until we love ourselves, the love we give and receive will always be conditional, it will always need something from the other to fill the void that we have refused to fill ourselves. We think we need to be worthy, to pass some kind of test to deserve love but that is a fundamental misunderstanding of what love is. Somewhere beyond the the interplay of the experience of pleasure and pain lies true freedom, and the deepest experience of love. A love that cannot be given or received, but one that resides within us throughout the inevitably shifting conditions of our lives. In allowing the heart to open to all its experiences we can become servants to love and living testimonies to its power in our lives. Love is an ocean without shores, you have to learn to bear it. There are so many varieties of roses that I wonder if any kind can be used? 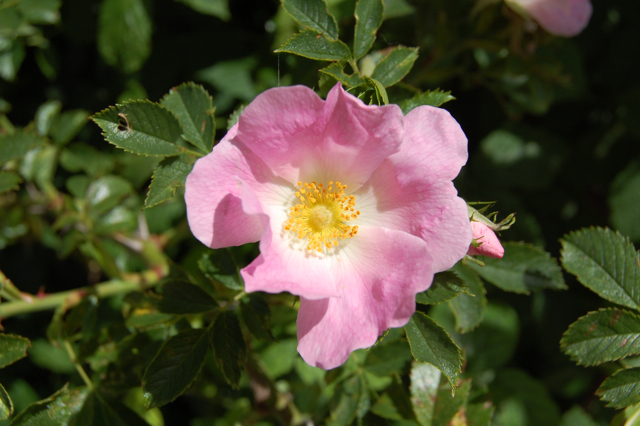 Using the wild rose, or rosa canina makes sense but do you know, is a rose a rose a rose?! Hi Ann, You can use any rose as long as it’s scented. Wild Rose, Rosa canina or Damask Rose, Rosa damascena are probably best. If you use garden roses do make sure they haven’t been sprayed by pesticides or other chemicals. I love roses too. Reading on this article made me think of having bed of roses too. 🙂 Aside from its beauty, just knew that it can also serve as a treatment. Thanks for sharing. And thank you for those lovely recipes. I just start to work more with flower essences and I am sure looking forward to our rose season. I am already curious to find out how different rose essences will be in their energy and effectiveness. Thank you for another inspiring and interesting post. Rose petals also feel so beautiful to touch – they are perfect. Looking forward to learning all about the Rose hip! Thanks for answering my question. I have never used roses medicinally but now I can! There is something quite remarkable about plants that seem to know where they are needed, the ones that get added into tincture formulas for that extra umph. Our herb class kept adding prickly ash to formulas for that reason, and lobelia. Ah what a wonderful plant world. A beautiful post Lucinda – ‘Hug in a mug’ made me smile. Part of the joy of working with herbs is the smell during the process of making our lotions and potions. Two of my favourite rose moments are when I make my Rose & Chamomile shampoo and the garden lab fills with the scent of the infusion; and also now that I use rose water instead of just water in making my creams. Mmm wonderful scents fill the air – therapeutic in itself. Thank you for the care that goes into your posts. Thanks so much for all of the information. Ive learned a ton already from you but the timing of this post is perfect. Our roses are blooming and waiting for us to use them! This is a wonderful article. I have been drawn to and using rose in many forms for years. There is nothing like it for grief and trauma and as I am experiencing both currently I take great comfort from your article reinforcing this. The Rosicrucian order make the best rose incense I’ve yet encountered and I use this and Neal’s Yard rose tincture all the time. Thank you Jane. I will have to try the incense you mention! With healing rose scented blessings to you.